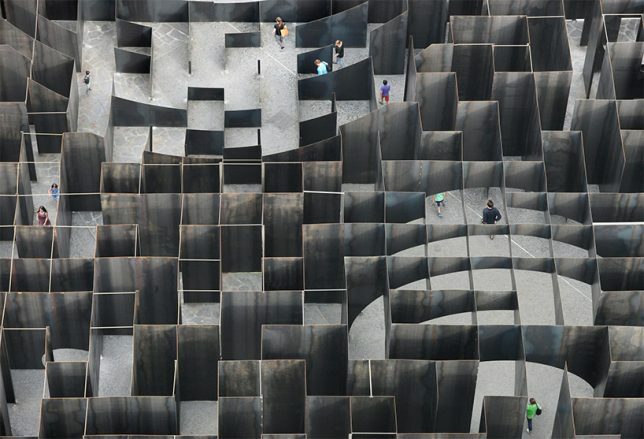 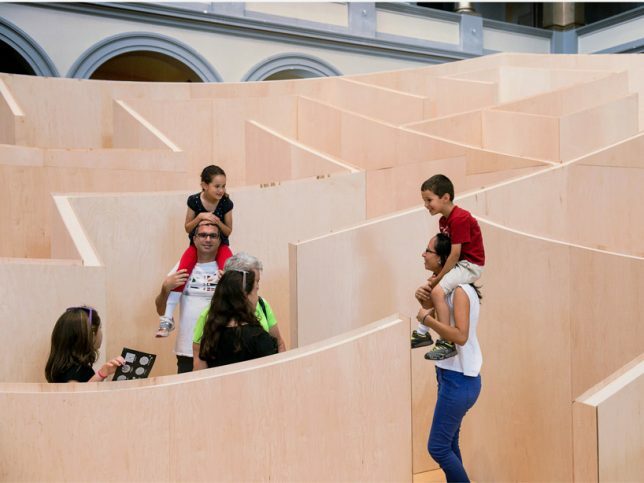 Escaping the convoluted confines of the conventional hedge-in-a-garden, the labyrinth takes on ever more complex forms to better confuse you with, especially when mirrors, glass or mechanical elements are involved. 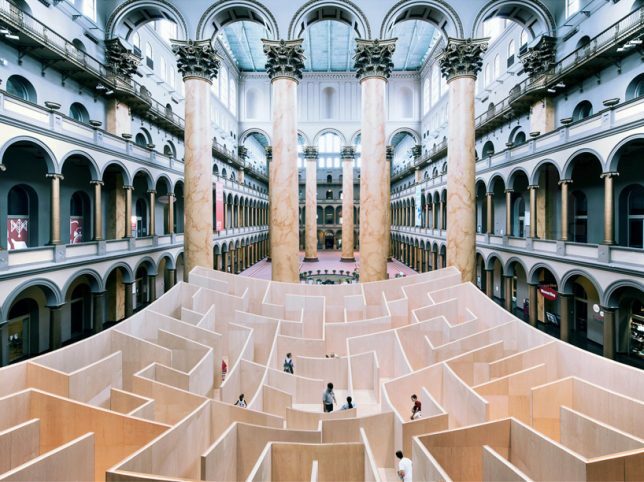 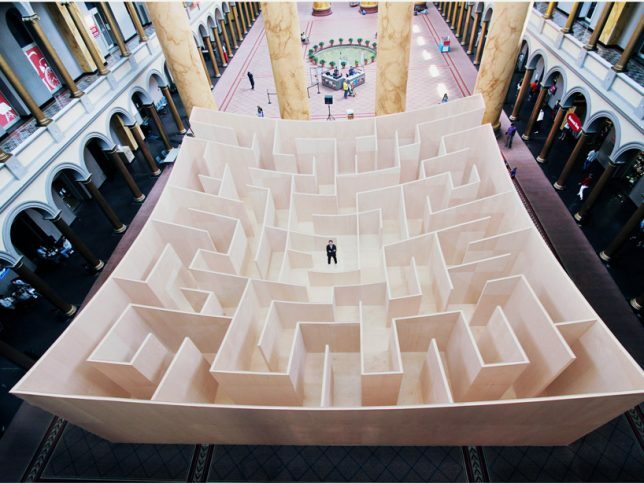 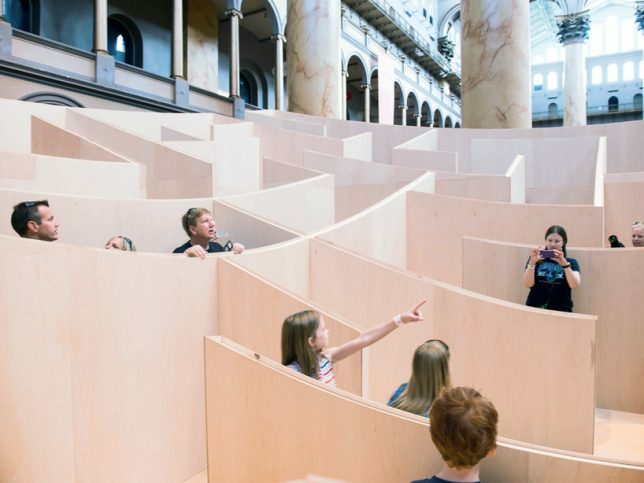 These immersive installations use unusual materials and disorienting configurations to encourage visitors to wander, explore, face uncertainty about their paths and pause to marvel at the beauty of it all. 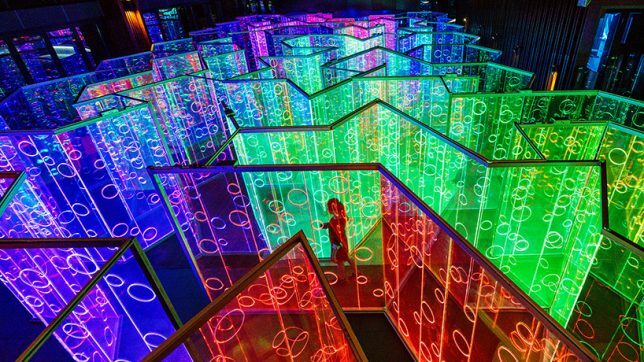 This immersive light maze made of acrylic panels with dichroic film applied to one side creates a reflective rainbow you can walk through. 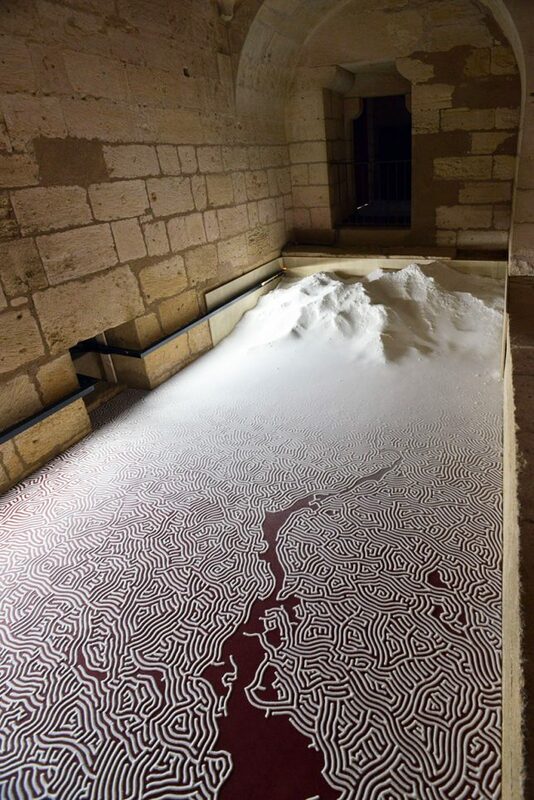 Once you’re inside, circles cut into the acrylic transmit colors from other areas of the maze. 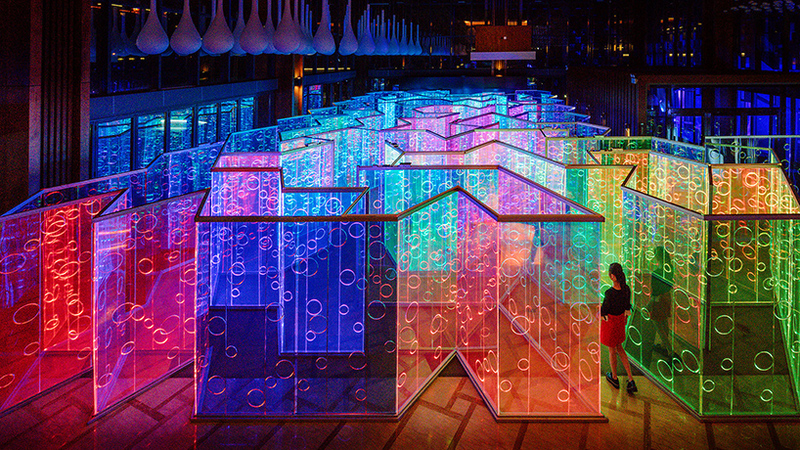 ‘Yûzhóu’ was craeated by architecture and design studio Brut Deluxe for the Luneng Sanya Bay Light and Art Festival in Hainan, China. 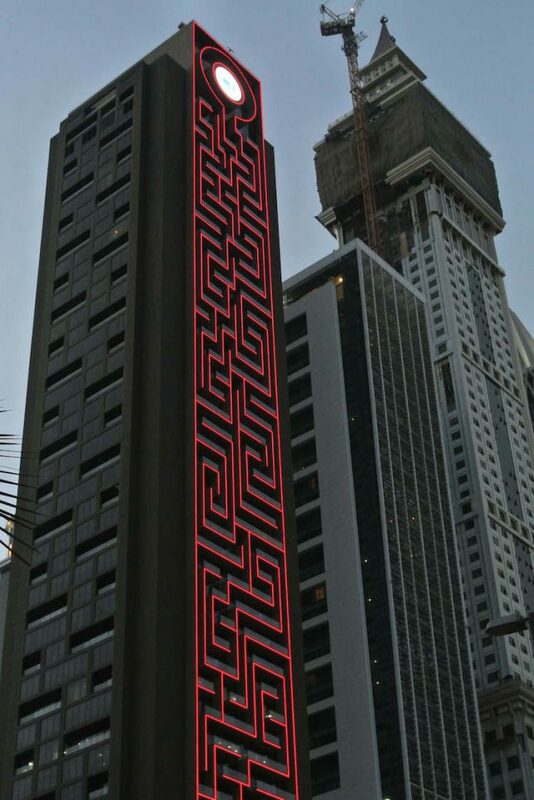 This 56-story skyscraper in Dubai is the world’s tallest vertical maze according to Guinness. 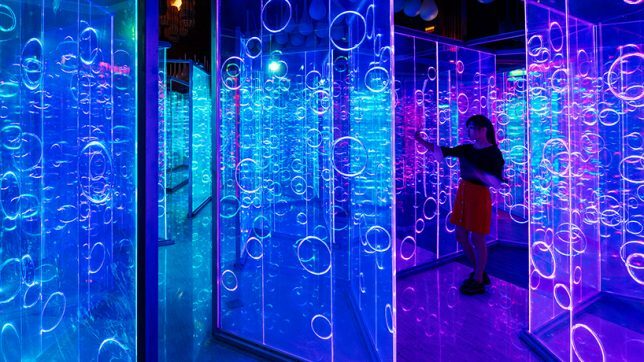 DAR Consult worked with maze designer Adrian Fisher to design the eye-catching accent, highlighting it in thousands of LED lights to make it stand out after dark. 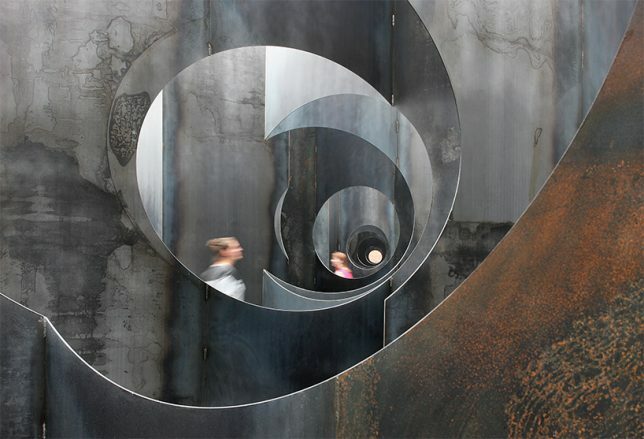 The architect duo known as Gijs Van Vaerenbergh experimented with the classic form of the labyrinth for a sculptural installation at the center of the C-Mine Arts Centre in Genk, Belgium. 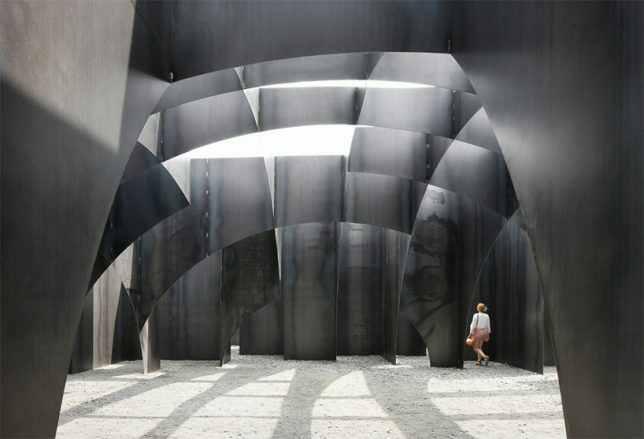 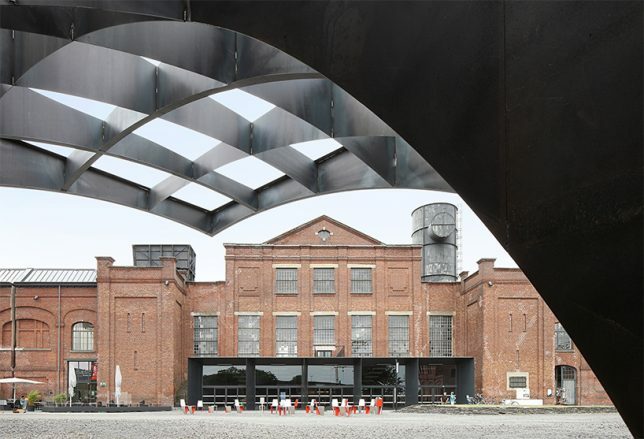 The design, made of 5mm-thick steel plates weighing a total of 186 tons, is envisioned as a composition of walls and voids that strategically frame various areas with cut-outs. 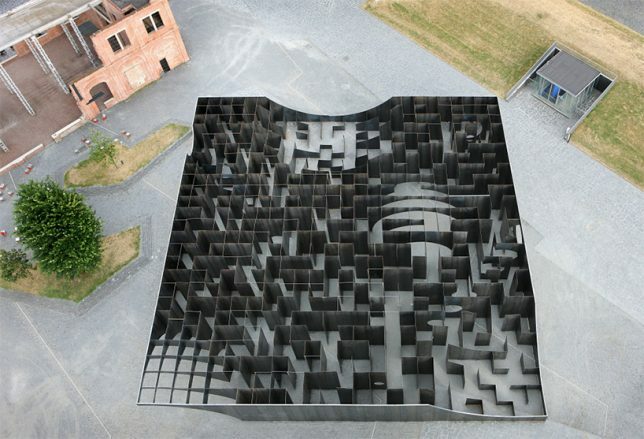 An accompanying tower outside the maze allows visitors to get a bird’s eye view of the entire thing. 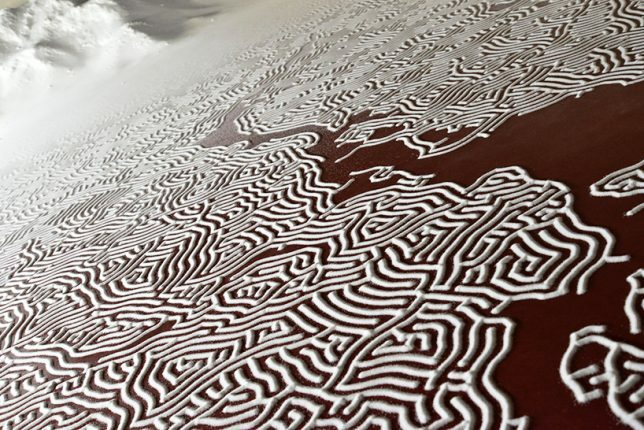 This labyrinth is so minuscule in scale, only insects could ever hope to navigate it, but it’s a wonder to take in from above. 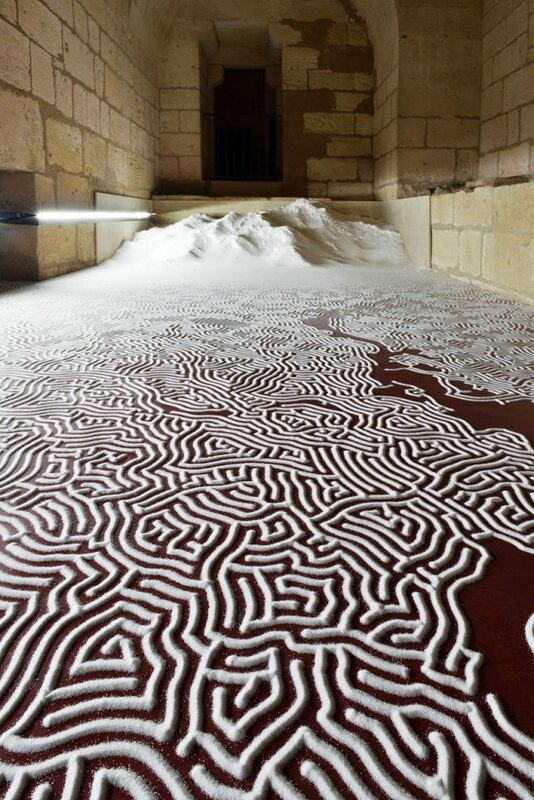 Artist Motoi Yamamoto is known for his intricate temporary sculptures made of salt, creating complex arrangements that almost seem organically formed.